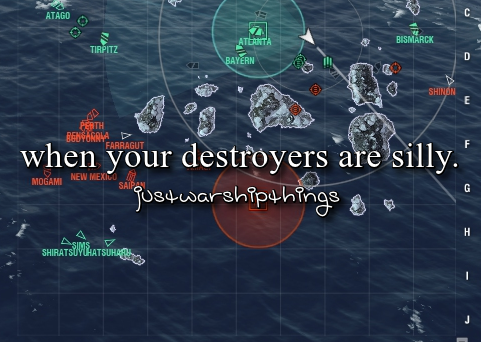 So, over on the EU forum for Warships, they have a thread dedicated to "funny/sad moments" during the match, as told by Screenshots. I was surprised it hadn't made it over here. And a couple of my own older examples. I feel this is an addition sorely lacking from these NA forums and might help lighten the mood, and let you all blow off some steam. 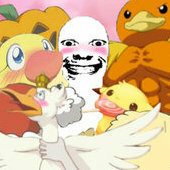 (Dear God, I hope this image still makes sense). 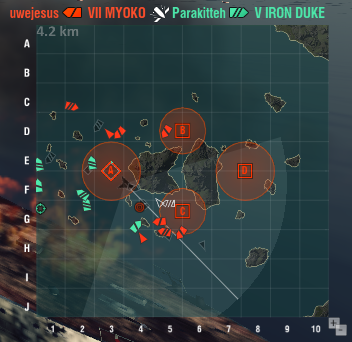 Yes, we have an exceptional lead in both kills and points. However, we seem to have achieved this through passive BBers. 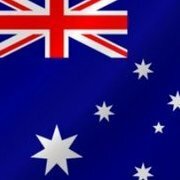 I pushed in a La Gall. I died for the privilege. A very brave New Mexico (map key 5) also pushed, and was left totally unsupported, save for the Kaga's fighter cover. Map keys 3 and 4 are also brave greens, a New York (dying) and Kamikaze (dying) respectively. 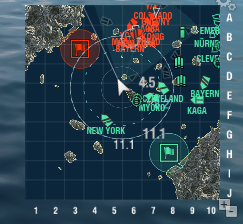 Map keys 1 and 2, meanwhile, are an unscratched New York and basically full health Scharnhorst hiding in the Islands just north of B. 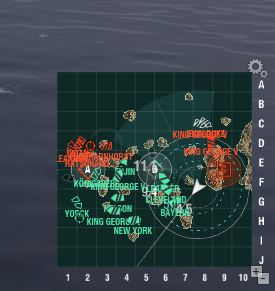 About two minutes before I took these screens, those two marked BBs and the two cruisers had formed a honeybee ball around our Kaga for some reason. Post your own depressingly frustrating or otherwise hilarious examples below! 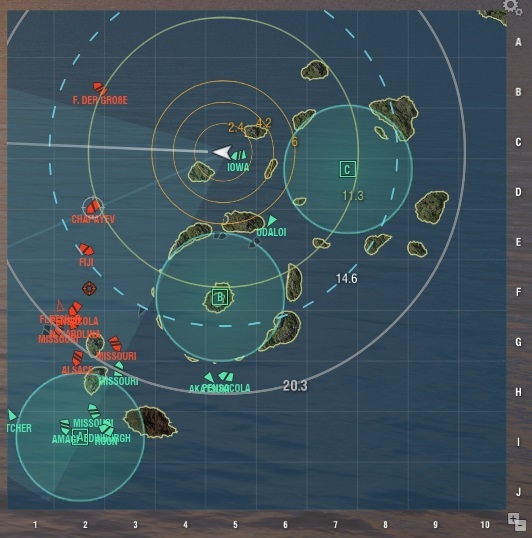 What is dumber: The fact that we can't see a single enemy, the fact that almost the entire enemy team have bravely pushed into J2, the fact that the only two ships on the enemy team who haven't pushed J2 (The Pensacola and Myoko) have instead decided to push towards A10 (without capping), or the fact that we nearly lost this battle anyway? 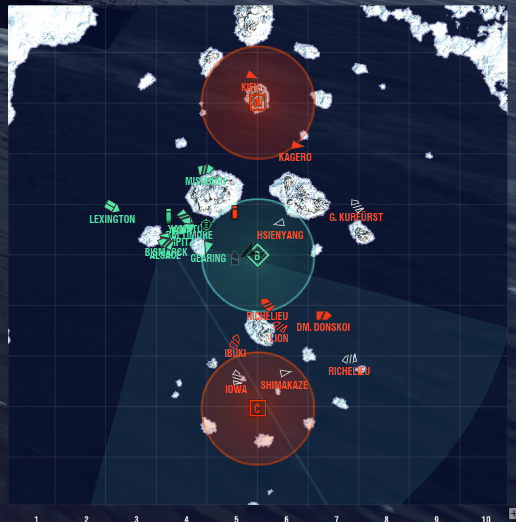 When the BBs on your team have other ideas. 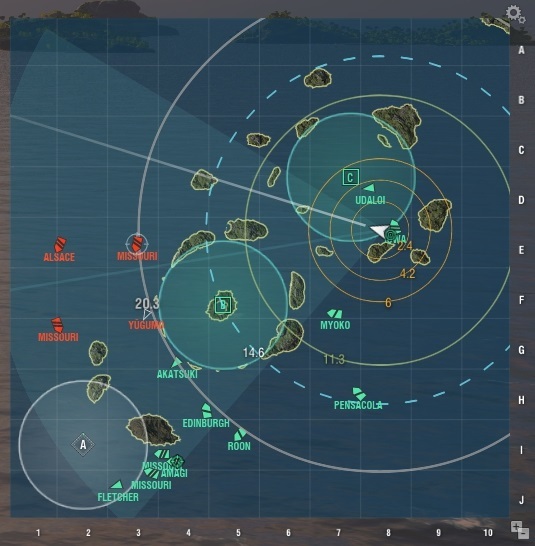 This 'tactic' is weirdly common for the southern team on this map. Behold! 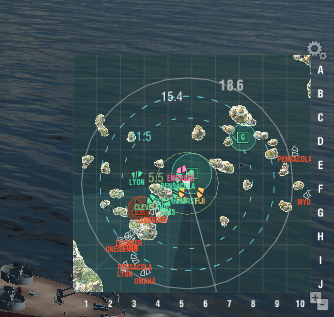 One of the worst lemmings I have ever seen. 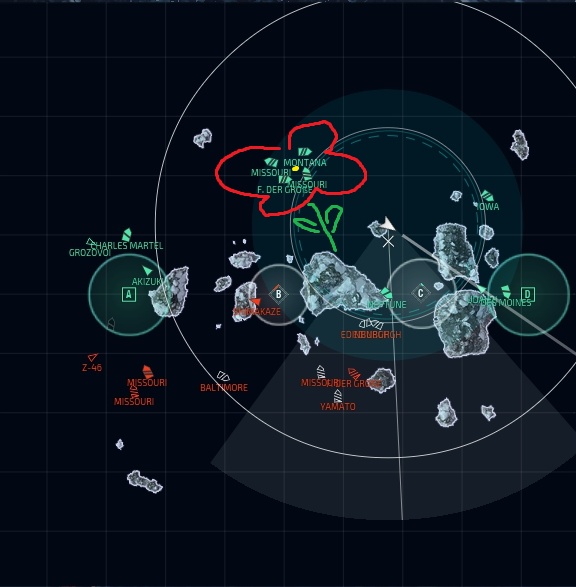 Not a screenshot, but it's both funny and sad seeing a player shooting their main guns at incoming planes. The trio were in a division. 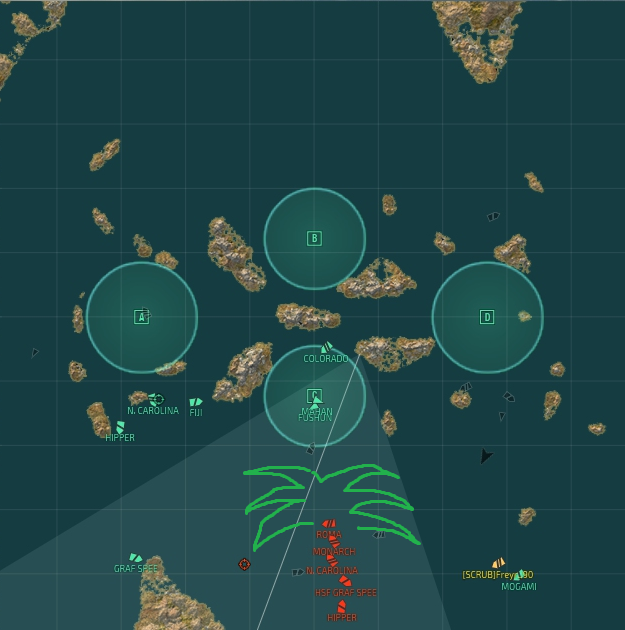 They sneaked through alright, but as soon as they launched torpedoes, the enemy's cruisers turned around and chased them down. 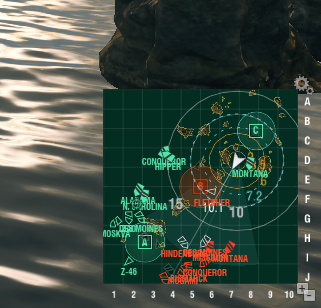 Our CV got destroyed early so the enemy's Saipan was able to spot for torpedoes and the destroyers when they weren't hiding in smoke. The red Nostradamus was correct with his prediction as the game ended a few minutes later. 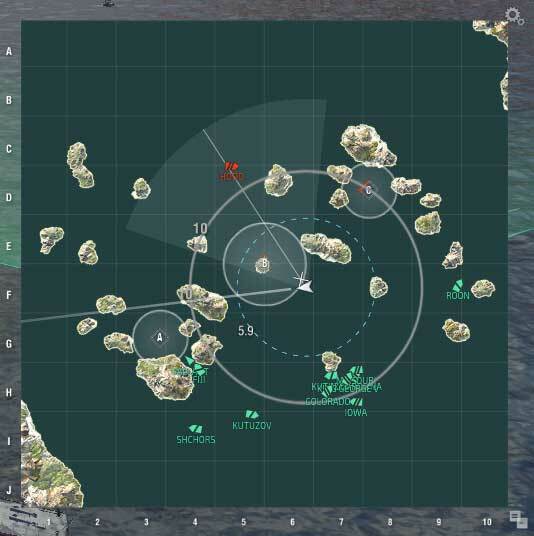 As a Republique I spawn alone next to the island at 2H, while our team heads east at best speed, then stops. 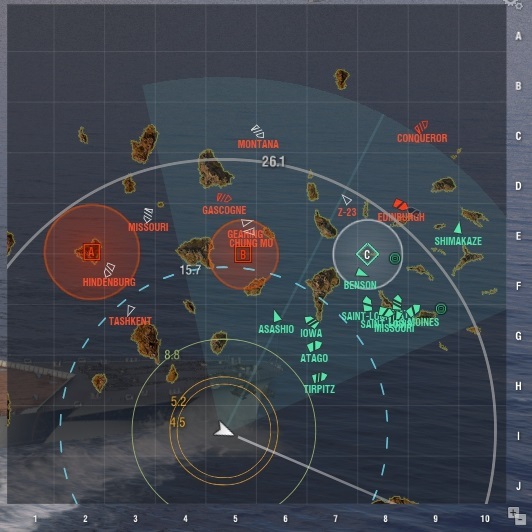 The trash can chased me keeping me on fire as I tried to make it to green support. The Hindy and Chung Mu joined in the fun as well. 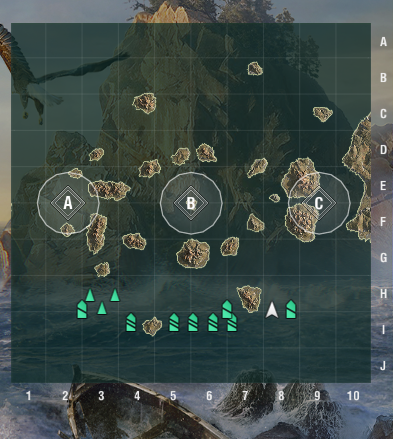 With all the fish caught at 8G, the green blob moved NW and somehow won. I ended up with a thousand or so HP, no heals, ~50k damage, 1 kill and Fireproof. 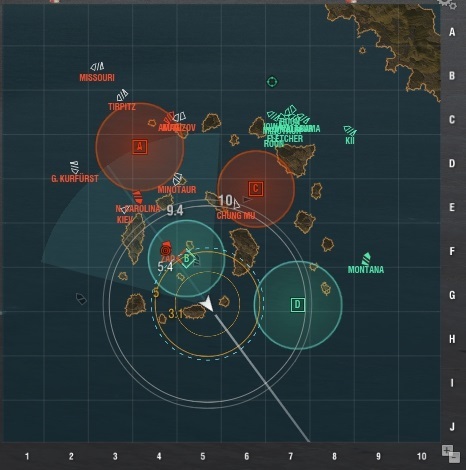 All the big ships crammed into that little triangle area between the three islands from the beginning of the match. 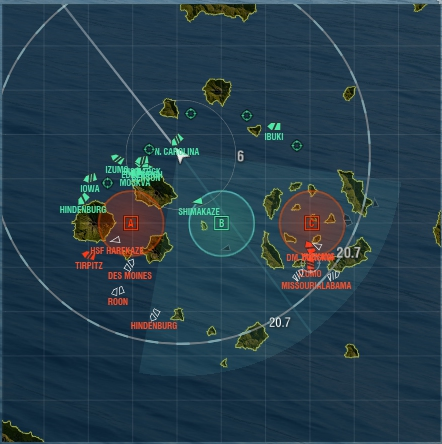 They were so tightly packed three of them ran into each other when trying to dodge a spread of Shimakaze torps. 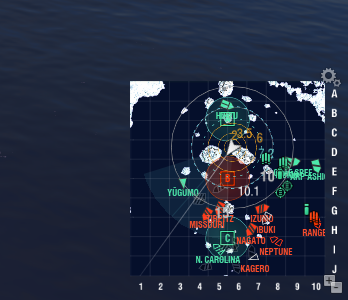 I didn't know you can fit so many battleships in there. What's the deal with dissing animal patches? 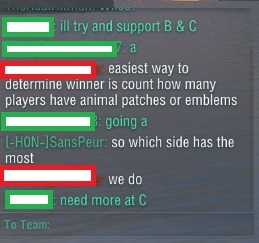 The red guy was implying that those just with animal patches have not progressed enough to earn emblems, and so not be the best players. A lot of this is depressing, because it so actively reflects potato-driven play. And I was getting told in chat to cap.